Coca-Cola has unveiled its new ‘one brand’ global marketing strategy, and ‘Taste the Feeling’ tagline and campaign. The strategy will bring all of the beverage giant’s trademark products – Coca-Cola, Diet Coke, Coke Zero and Coke Life – under one iconic brand image. ‘One brand’ aims to extend the global equity and iconic appeal of the brand. 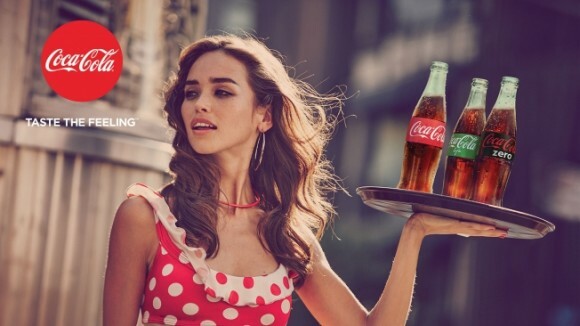 The worldwide ‘Taste the Feeling’ campaign aims to celebratee Coca-Cola via universal storytelling and everyday moments which centre around the beverage. The Australian campaign, in collaboration with Ogilvy, Satellite, Urban and Adhesive PR, will feature outdoor advertising in some of Australia’s most prime advertising positions such as Kings Cross and coverage on social media and streaming sites, as well as point of sale and experiential and sampling. 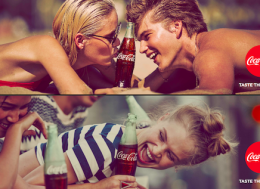 “We are a brand that has delivered some of the most memorable taglines in advertising history,” says Lisa Winn, marketing director of Coca-Cola South Pacific. “The universal moments and storytelling depicted in the campaign were created to resonate with our consumers globally,” says Rodolfo Echeverria, Coca-Cola vice president of global creative, connections and digital. This article was originally posted on Marketing Magazine.